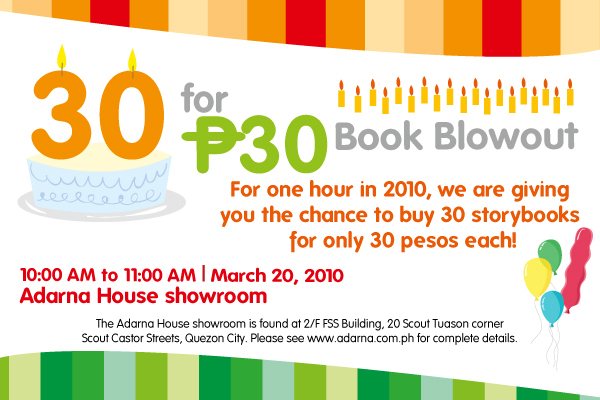 It’s our 30th birthday, and we are treating you to an exciting sale: for an hour in 2010, you can buy 30 storybooks for only 30 pesos each from our showroom. So. 10:00 AM. March 20. Mark your calendars. 1 hour. 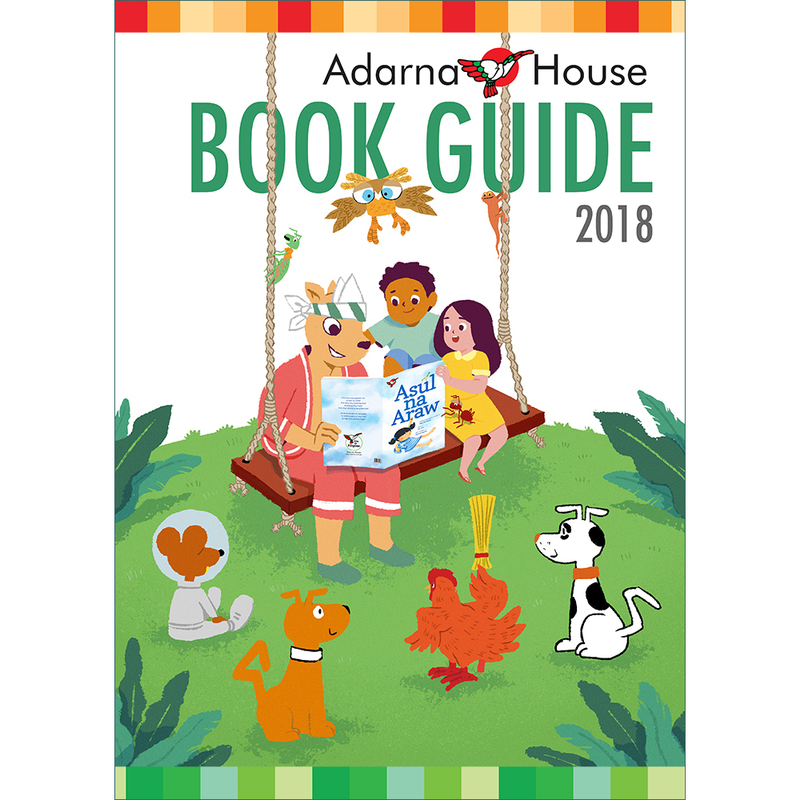 30 storybooks. 30 pesos each.